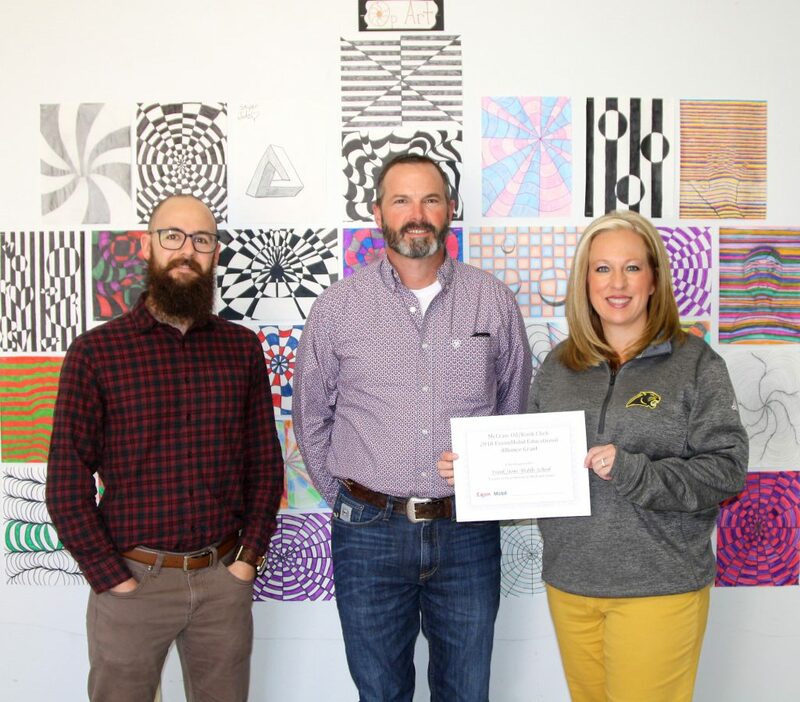 Rodney Brent, center, presents a $500 grant from Kwik Chek Food Stores, Inc. for math and science enrichment to eighth-grade science teacher Jeremy Glossup, left, and principal Kelli Stewart. 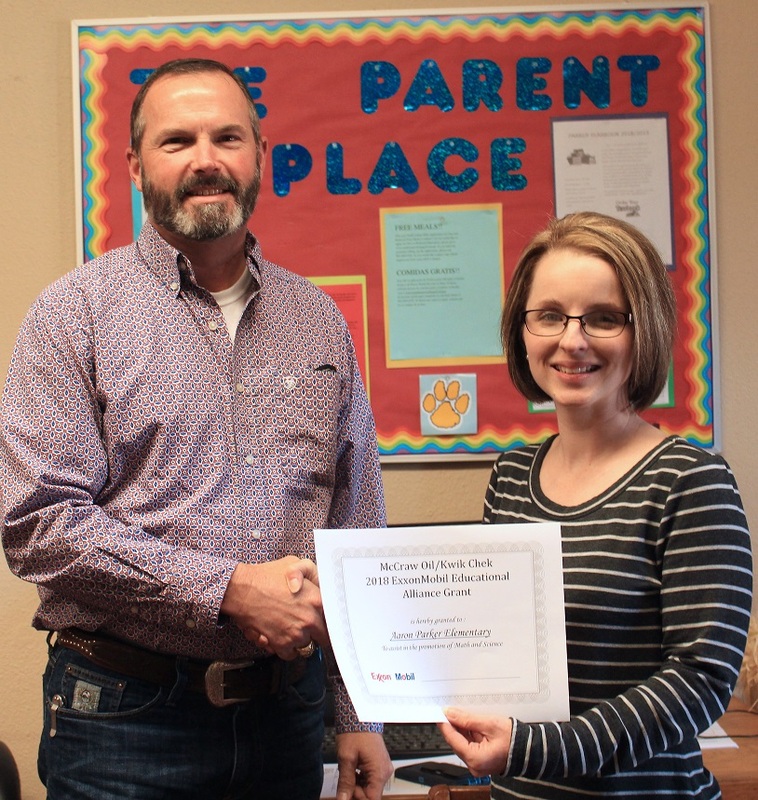 Three campuses at North Lamar Independent School District have been awarded an ExxonMobil Educational Alliance Grant to enrich math and science instruction in the classroom. The grants of $500 each were awarded to North Lamar High School, Stone Middle School, and Aaron Parker Elementary and made possible by funding from the ExxonMobil Corporation through our local Kwik Chek Convenience Stores. 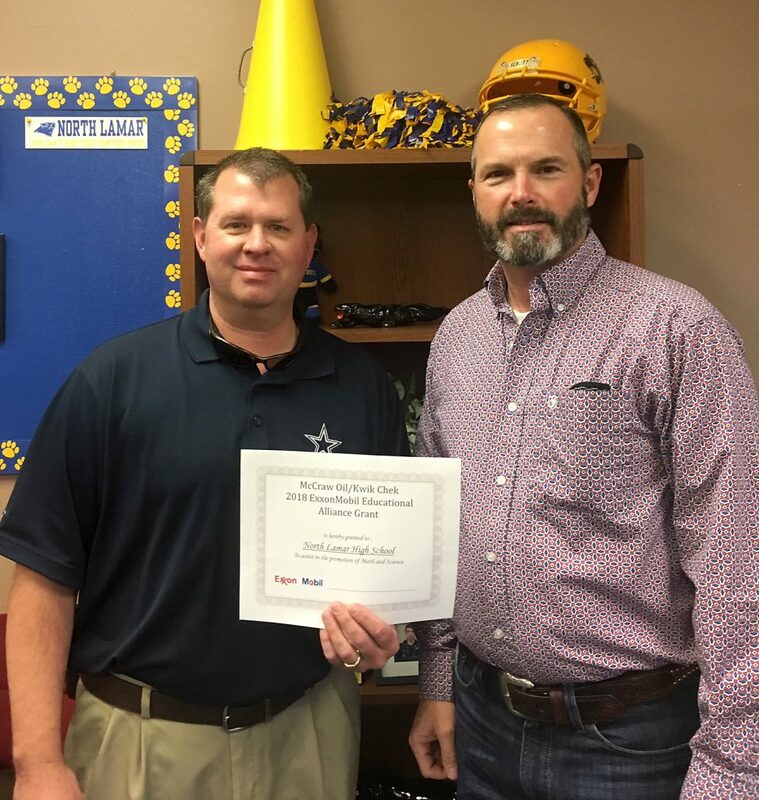 North Lamar High School principal Clay Scarborough, left, accepts a $500 grant from Kwik Chek Food Stores Director of Operations Rodney Brent. The grants are part of a program that supports schools in communities that are served by ExxonMobil sites. ExxonMobil has a long history of providing support to schools. Kwik Chek is happy to have the opportunity to invest in the future of their community to neighborhood schools. Aaron Parker principal Kristin Hughes happily accepts a $500 grant from Rodney Brent, Director of Operations for Kwik Chek Food Stores, Inc. The money will be used for the elementary math and science programs.